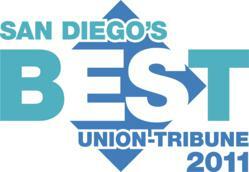 Voted Top 3 REALTORS® in San Diego in 2011! "They say behind every good man is a great woman. Well it's also true that behind every good real estate investor is a great REALTOR. Judy Spady has been this for me, guiding me through excellent acquisitions, identifying what to repair and then helping me with the sale of our properties. Her marketing efforts are second to none in San Diego and some of what Judy taught me I still use today. I highly recommend Judy Spady and her team as they have been invaluable to my success as a full time real estate investor demonstrating integrity, open communication, outstanding market knowledge, honestly and good old fashion customer service with every transaction. Thanks Judy!" "Our experience with Judy has been absolutely wonderful! Her thoroughness, thoughtfulness, caring and assisting us with what is in our best interest was bar none like nothing I have ever dealt with in a real estate agent or any professional in business. She goes the extra mile to assist and then some. Judy Spady is a class act. We can't say enough good about her." "Working with Judy was an excellent experience. She is professional, experienced, knowledgeable, organized, accessible, takes a personal interest and comes through with results. I am forever a grateful client." "I'm so happy to have picked you from the many realtors I interviewed to help me find a home, you stood out from the rest. I found you to be not only amiable, courteous, professional, but also exceptionally knowledgeable of the Real Estate business, and notably your experience in "home purchasing" process. I want to thank you for everything; from answering the many questions I've had from day 1 all the way to this day, for giving me the opportunity to see so many homes available to me, for locating so many different homes that fit my needs & requirements, for providing such great information to me at all times, for making numerous phone calls for me, and fighting for me to get the sellers of my new home to take my offer over an offer already in their hands, your experience came into play big time here, and the list goes on and on, but most of all I'd like to thank you for your sincere friendship and for allowing me the opportunity to become your friend as well. Thank you!!!" "I was very impressed with the work as a Realtor Judy Spady did for me. I had put my house on the market at a bad time and needed to sell it fast. I had lived in this house for 22 years and loved it but could not afford it anymore. Judy was very understanding and easy to work with. The end results was the house sold in 3 days and I was very happy with the end results." "We have sold a house through Judy and also have bought a house through Judy. And when we need to sell our house, Judy will be our agent again. We have friends who have written her into their will as the agent who will sell their home when the time comes. When you have Judy Spady as your realtor, you have your best friend fighting for you. She makes your business her personal campaign to see to it that your best interests are priority one. Judy does her research to realize what your needs are, whether buying or selling, and diligently works to achieve that. " "Judy Spady handled our family trust on recommendation from my sister and her husband. I found Judy to be thorough, thoughtful, and up front in all her business dealings with me. She is a knowledgeable Real Estate agent. Judy does not make fake promises and strictly follows the guidelines established by law. Her assistance was a pleasant experience."